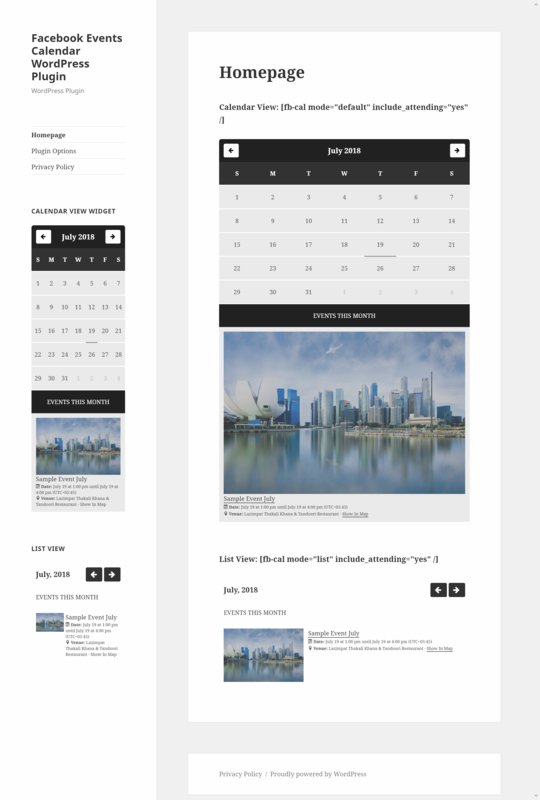 Facebook Events Calendar WordPress Plugin is a calendar plugin for WordPress that will enable you to display events from various Facebook Page, Profile. Due to April 2018’s Facebook API update, the plugin won’t be able to show events from the pages you are not admin of using Facebook API. 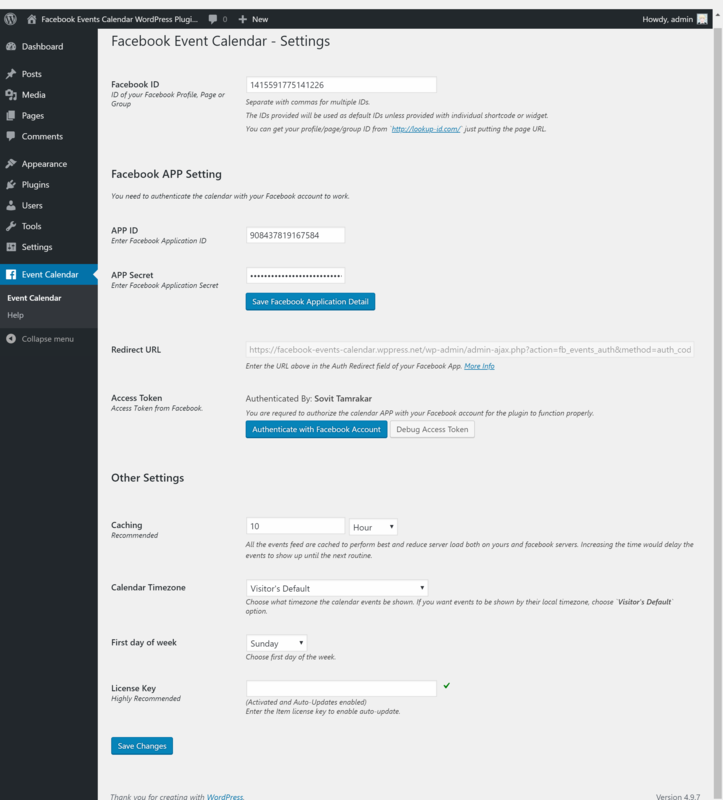 So before you setup the plugin, make sure you are admin of the Facebook Page. If you require to show events from Public Facebook Pages that you are not admin of, then you will need to submit your Facebook APP for review to get approved for “Page Public Content Access” permission. NOTE: Displaying Events from Facebook Groups doesn’t work right now due to API changes. You will need SSL certificate installed on your server. Please make sure your server can be access with https protocol. You can use CloudFlare service for free SSL if your webhost don’t provide SSL for free and you want a quick solution. 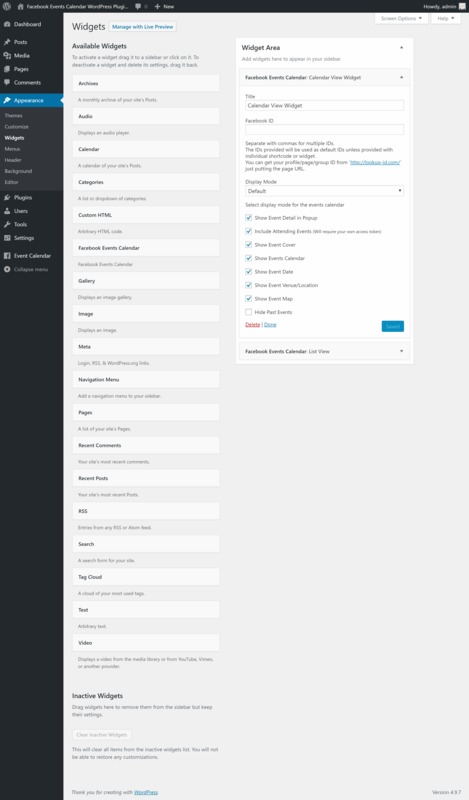 POT files available with the plugin to translate with your WordPress language setup. WPML and qTranslate string translation ready. Select timezone for the calendar date time or show event dates per user’s browser timezone. 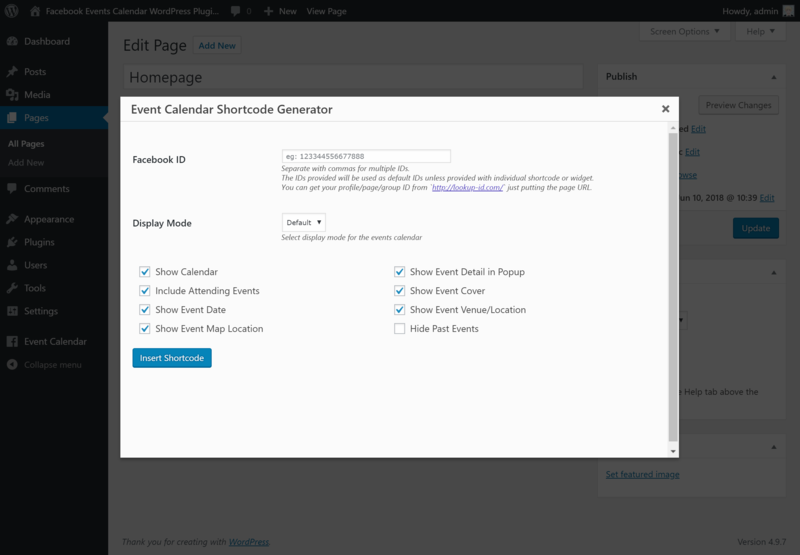 (NEW Feature) Ability to enable/disable Popup with Event Details per calendar instance. Semantic-i-cally coded source and any-developer friendly for custom upgrades.